This page on Helix Antenna vs Patch Antenna describes difference between Helix Antenna and Patch Antenna. The useful difference between various terms are mentioned here. Helix and Patch are two widely used antennas for GPS applications. We will understand basics of these antenna types and mention some of the useful differences between them. In some designs such as on rooftop patch antennas are used while some applications use helix type of antenna such as satellite signal reception. Refer types of antenna page which covers different types of antennas. This antenna type can demonstrate very high gain when they are installed on top side of large ground plane. Ceramic type of patch antennas can be made with smaller size and hence are very popular. Their dimensions will range from 10x10 mm2 to 25x25 mm2. Figure-1 depicts radiation pattern of Patch Antenna. Patch antennas with smaller ground planes will have certain back-lobe in the radiation pattern. This makes patch antennas susceptible to radiation from the backside of the antenna. Figure-1 also depicts best placement of patch in this type of antenna. This results into best antenna performance and good performance. Following points are considered in the design of patch antennas. • No components should be mounted near to the patch. • Maintain sufficient minimum distance between housing of device and antenna. • Signal line paths are avoided near or under the antenna. 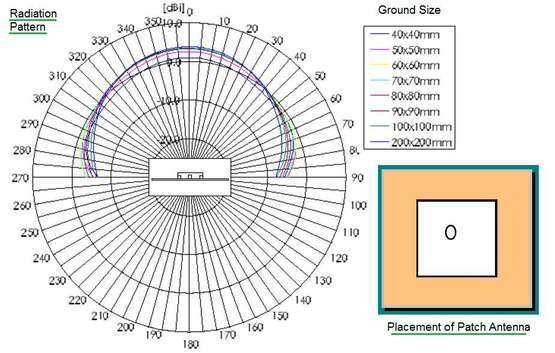 Refer article on microstrip based patch antenna design. The helix antennas are designed with or without the use of ground plane. 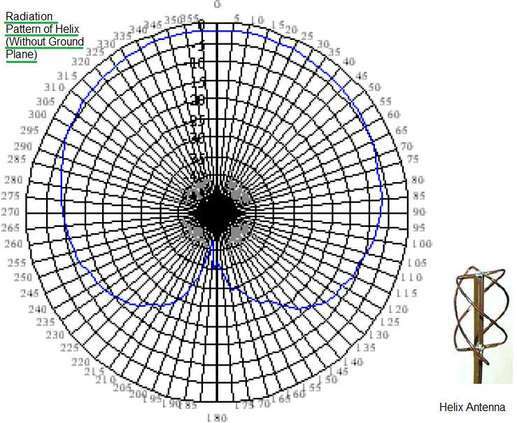 Figure-2 depicts radiation pattern of Helix Antenna without ground plane. The shape of radiation pattern is omni-directional as shown. Helix usually do not need ground planes. However, ground plane can improve the performance significantly. If used, ground plabes should be kept at minimum distance from the radiation portion of the helix antenna. Helix antenna is used either internal to the device or used as external free space antenna. • Comparable gain is achieved with less size of patch antenna in comparison to helix antenna(of large volume). • Helix antenna demonstrates low sensitivity compare to patch antenna of the same size. Following table compares advantages and disadvantages of Helix Antenna vs Patch Antenna types.